shiny as the fire Gretel threw the witch into. the thrill of being such a brave girl. Not the easy one some fool’s kiss could rescue. to best the wartiest witches, all the little, ugly men. the princess, charmed and pleasing to all. and I could be fitted to any glass slipper. every peril that fine prince might face. I wouldn’t have to save myself. what I dreamed I saved myself from, or for. whose favorite color is always predictably red? The mythic white wedding night? My identity never had a legend to stand on. nestled comfortably on any page. no kind of mother at all, with no children of my own. there is nothing here any less lost than at the start. like the witch, devoted to my flaws. Susan O’Dell Underwood directs the creative writing program at Carson-Newman University. Besides two chapbooks of poetry, she has one full-length collection, THE BOOK OF AWE (Iris). Her poems, essays, and short fiction have been published or are forthcoming in a variety of journals and anthologies, including Oxford American, Crab Orchard Review, Tupelo Quarterly, Tar River Poetry, and A Literary Field Guide to Appalachia. She and her husband David Underwood run Sapling Grove Press, devoted to underserved poets, photographers, and writers in Appalachia. 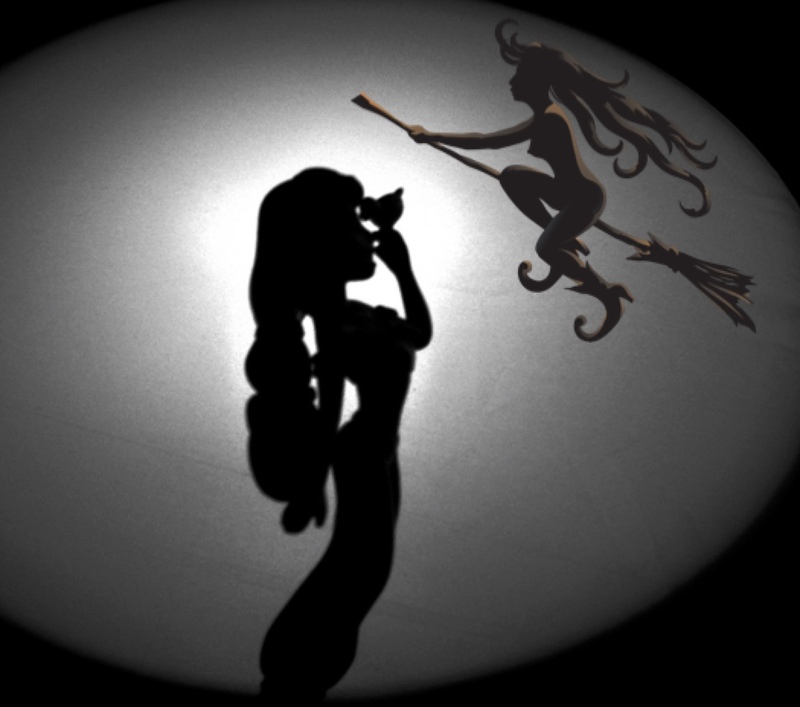 Editor’s Notes: Supporting image is a collage of Disney Princess (by Kevin Dooley in Flickr) and a flying witch (Kisspng). Identification: Adults average 5-6 feet. Live birth. at shoulders and hips called arms and legs. Similar Species: Nothing on Homeworld. Voice: Wide range of inflection, limited hissing. Range: Entire planet although not naturally aquatic. with patches of hair; no protective scales. useless for sitting, unlike coils. our mouth tentacles function better for both. that can swim, crawl and fly effortlessly. Lauren McBride finds inspiration in faith, family, nature, science and membership in the Science Fiction & Fantasy Poetry Association (SFPA). Nominated for the Best of the Net, Rhysling and Dwarf Stars Awards, her poetry has appeared or is forthcoming in dozens of publications including Asimov’s, Dreams & Nightmares and The Grievous Angel. She enjoys swimming, gardening, baking, reading, writing and knitting scarves for troops. 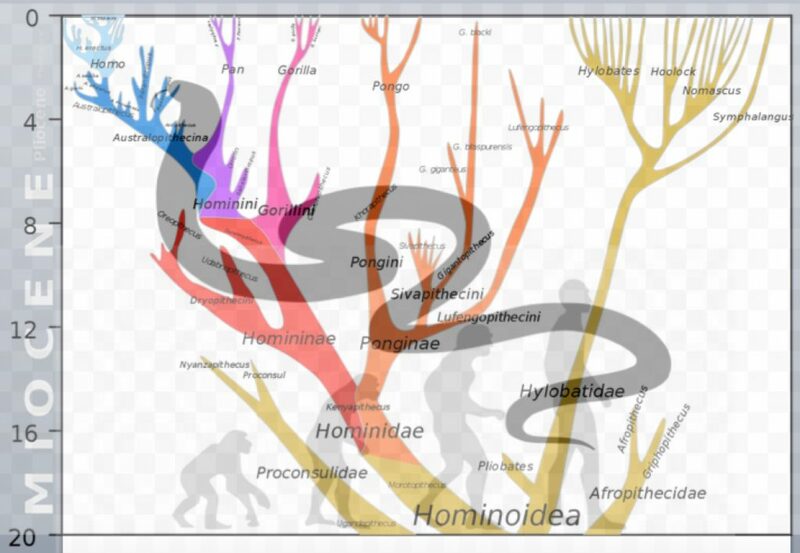 Editor’s Note: This catalog poem—a field guide of sorts—is symbolized by a Hominoidea lineage tree (Dbachmann) and silhouettes of the evolution of man (clipart max) and a snake (kisspng). Deborah L. Davitt was raised in Nevada, but currently lives in Houston, Texas with her husband and son. Her poetry has received Rhysling and Pushcart nominations; her short fiction has earned a finalist showing for the Jim Baen Adventure Fantasy Award (2018) and has appeared in InterGalactic Medicine Show, Compelling Science Fiction, and Galaxy’s Edge. For more about her work, including her Edda-Earth novels, please see www.edda-earth.com. Editor’s Notes: Tessellate: from a late 17th century Latin verb tessellare meaning to decorate (a floor) with mosaics. And in mathematics, it’s to cover (a plane surface) by repeated use of a single shape, without gaps or overlapping. 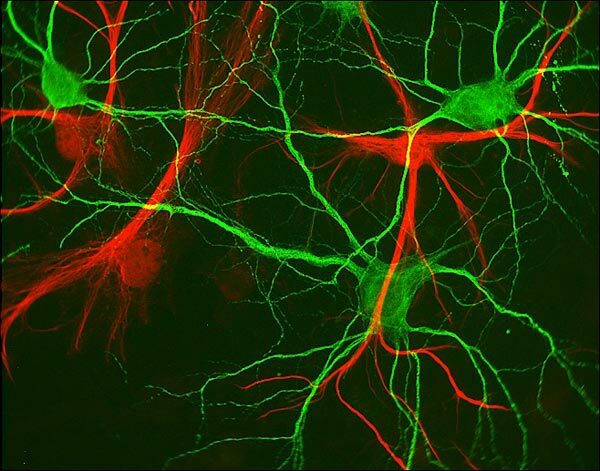 The accompanying image is that of Hippocampal neurons (green) and glial cells (red). Scale approximately 90 microns. (Image courtesy of Paul de Koninck, Universite Laval) from Fractals in Nature (https://fractalfoundation.org/OFC/OFC-1-6.html): Our brains are full of fractals and couldn’t function were it not for fractal geometry. The human brain has 100 billion neurons and 100 trillion synapses possible only because of the fractal nature of neurons. that you couldn’t find in your own? what kind of thief is it who lives inside? Robin Wyatt Dunn was born in Wyoming in 1979. He is a graduate student in creative writing at the University of New Brunswick, Canada. You can read more of his work at robindunn.com. 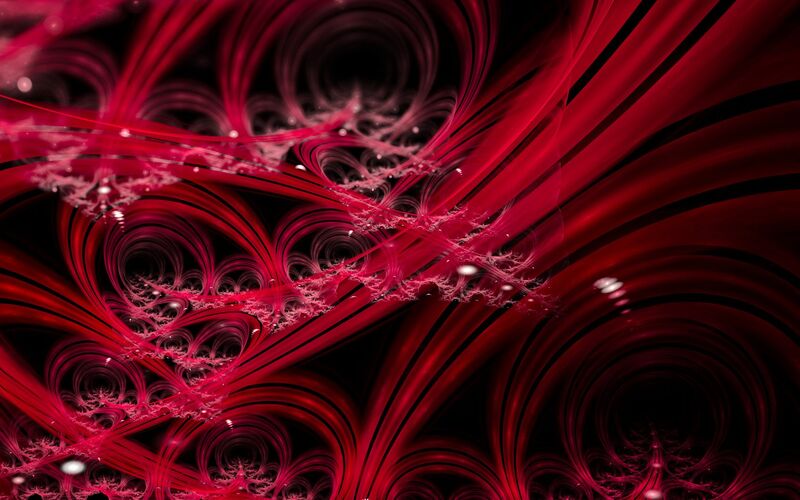 Editor’s Notes: The abstract artwork, “Blood And Tears” by Anyzamarah.deviantart.com (Patricia Maschke is a German fractal artist), has texture that goes with the poem. Tell me can you see them, the ghosts of Culloden. the dyes set by their lasses’ piss. their tartans fine as any noble’s vest. they fade into the mist. and you can worship down. in this history tome I hold. Marge Simon lives in Ocala, FL. She edits a column for the Horror Writers Association Newsletter, “Blood & Spades: Poets of the Dark Side,” and serves on Board of Trustees. She is the second woman to be acknowledged by the Science Fiction & Fantasy Poetry Association with a Grand Master Award. She has won the Bram Stoker Award for Superior Achievement in Poetry. 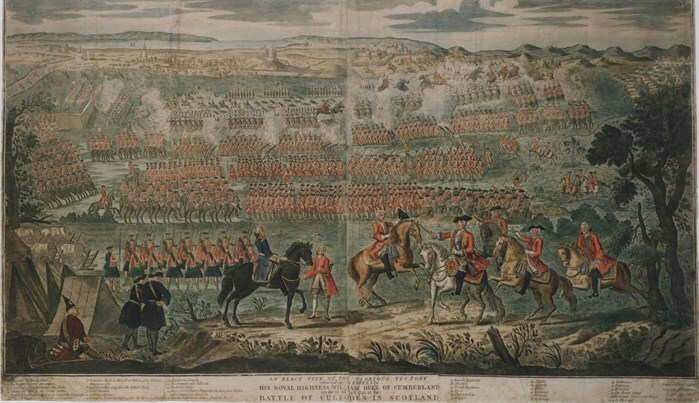 The image is a Woodcut painting by David Morier of the Battle of Culloden first published just six months after the battle in October 1746.
expire at this cathedral of the hurt. begging to the blessed, Please we need more room. by numeral’d wars. Sirens were silenced. 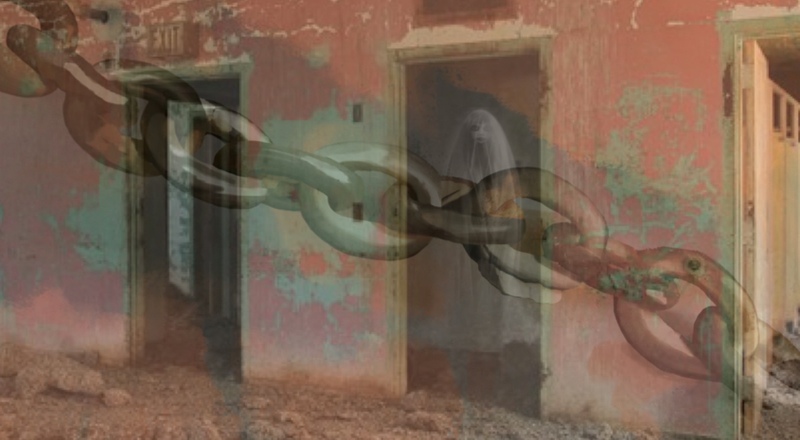 behind a chained door never locked before. We’re obsolete, Aloysius and I.
to empty rooms, hear the last rites of ghosts. My bones now lie in corners, specks of dust. Ann Thornfield-Long, a co-author of Tennessee Women of Vision and Courage (edited by Crawford and Smiley, 2013), has poetry appearing in Artemis Journal, Riddled with Arrows, Silver Blade, Abyss & Apex, The Tennessee Magazine, Wordgathering, Liquid Imagination and other publications. She won the Patricia Boatner Fiction Award (Tennessee Mountain Writers, 2017) for her novel excerpt “The Crying Room” and was a finalist for her fiction in the 2017 Chattanooga Writers’ Guild Spring Contest. She was nominated for the Pushcart, Best of the Net and Rhysling awards, and awarded a 2017 Weymouth residency. She edited and published a weekly newspaper for six years. She’s a retired nurse and medical first responder. full of holes, full of dark spaces. a shell the soul discarded. Angels hovered in the morning light. They bathed his unquenchable wounds. They ran their fingers through his hair. who joined in the sleep of the once living. Who shut his eyes and saw everything. 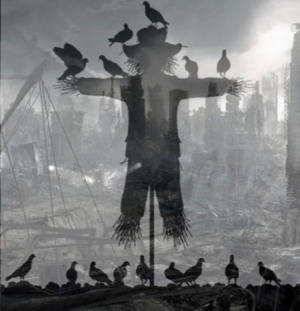 Bruce McRae, a Canadian musician currently residing on Salt Spring Island BC, is a multiple Pushcart nominee with well over a thousand poems published internationally in magazines such as Poetry, Rattle and the North American Review. His books are The So-Called Sonnets (Silenced Press), An Unbecoming Fit Of Frenzy (Cawing Crow Press) and Like As If (Pskis Porch), and Hearsay (The Poet’s Haven). 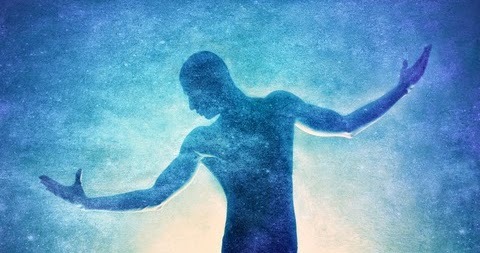 Editor’s Notes: The image is from the Spiritual Inspiration blog (spiritual-awakening.net). The poem is arguably a highly subverted sonnet. Yes miss please and thank ye. Lovely plate if I do say so myself, the missus would die if she saw me dirtying this with my greasy fingers, she’d give me a fair rump of it, but if you say all’s fine, then who am I to say naught against it? The biscuits are lovely, mum, baked them yourself, now did ye, ah well, that’s too much kindness for the likes of me, my wife takes good care of me, despite the grousing, so I’d not want you to think I’m wanting anything as far as that goes. The tea? Well, mum, I must say I’ve had nary a taste of something what made my mouth go quite as edgewise as this, I mean to say I love the taste, but my lips want to give a quiver once it’s past, if you pardon my meaning. It’s very good. I think I might need a quaff more, though, to judge its true quality. Begging your pardon if I don’t hold the teacup rightly, I’m a rough man, mum, with flat fingers, comes from shearing the sheep, not fit for finer things, my pardon, pray forgive me, the missus says I’m not fit for proper conversation, but we seem to be getting on all right, what with my roughness and all. Haven’t seen the Mister around lately, mum, and that worries me, what with the loss of that lamb last week, and the howls of the wolves lately. Bad business for the sheep, mum, even with me carrying my rifle into the hills every night. My missus hardly sees me at all these days. Not that she complains, mum, not that she complains. A bit more tea, if I’m not being forward. Thankee, mum, but seems there’s something missing in the taste, not that I’m blaming you, mum, you know your tea, you and your people, but there’s something not right here, let’s try this, again begging your pardon, but the missus makes a fine tea herself, I carry some with me for the times when I’m tending the sheep and the Mister forgets I’m there. It happens, mum, but I’ll never say a word against him, he’s a very busy man. Just a touch, missus, there you go, sip slowly, ah! No, don’t take a sip of your own brew, just let this play about your mouth, let it linger. We call it lambswool tea, the missus and me, just a laugh for us when we look at the fields and flocks and remember that they once belonged to us and now we can’t even afford enough fleece for a sweater. Lambswool tea. Big laugh, mum. We can’t afford tea, and we can’t keep the wool. So we make the tea out of whatever’s handy. And free, mum, and free. Oh, but nothing’s free now, is it, no, its all part and parcel, all bought and sold, all bartered or battered or stolen. Your mister loved lambswool tea, mum. He told me so himself, right after his first taste of it. Did I mention the missing lamb, and the wolves? Sure I done so, mum, you must remember. Only they weren’t so much wolves as big dogs, I’d guess. Hungry dogs what would never touch a lamb. We trained them that way, have done for centuries, mum. How’s the tea, love? Bit too much of the Irish in it, is there? Oh, you look all tuckered of a sudden, mum. Begging your pardon, though, but before you go to napping, tell me—can you hear the dogs howling? They sound right near to me. Very, very near. Mikal Trimm has sold over 50 short stories and 100 poems to numerous venues including Postscripts, Strange Horizons, Realms of Fantasy, and Ellery Queen’s Mystery Magazine. 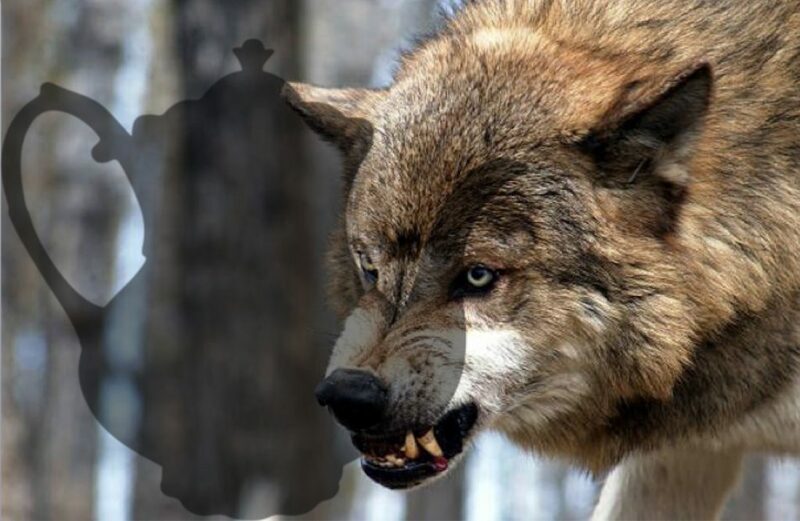 Editor’s Notes: The symbolic collage of teapot and wolf seems to fit the flash-poem, a delightfully horrific tale. makin’ the other holes in my jeans look like a pattern. that come with holes and ashes in ’em. as he grunts “Supper done?” in my direction. Would he come home if it wasn’t? that makes the mistake of picking our porch. and praying that her daughter comes to her senses. and hold my Tesla lighter to Barkley’s greasy flesh. But she knows me better. barbecue his meals on my bones. as he leaves me with my coping cloud. and place the remains in the flea market, crystal ashtray. onto the “highly flammable” warning label sewn into his pillow. Alecz Yeager is a 22-year-old writer from South Carolina. She is currently finishing a BA of English at Winthrop University. She has previously had a prose piece published by Soft Cartel. Her poetry style is often narrative and tells some sort of short story. Her passion for writing stems from her belief that stories are what guide every new generation. Stories are what carry on the memories of the past. 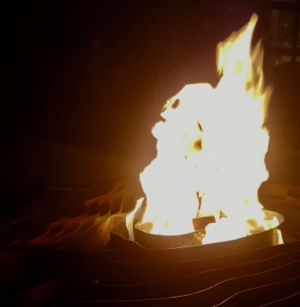 Editor’s Note: I had photographed the flames in a fire ring on Halloween night (at a local microbrew in Knoxville, TN). The image I imagine in the fire, pareidolia, is spooky, a demon-angel on fire, or some other sinister creature aflame. It is fitting for the piece.